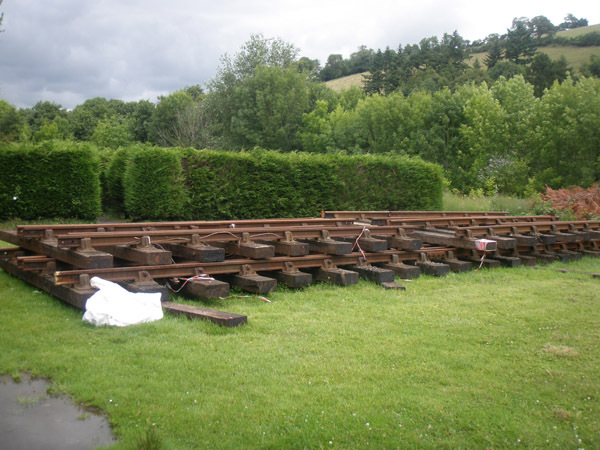 As part of the ongoing improvements to the South Devon Railway the opportunity has been taken to acquire a quantity of bullhead rails that have become available. 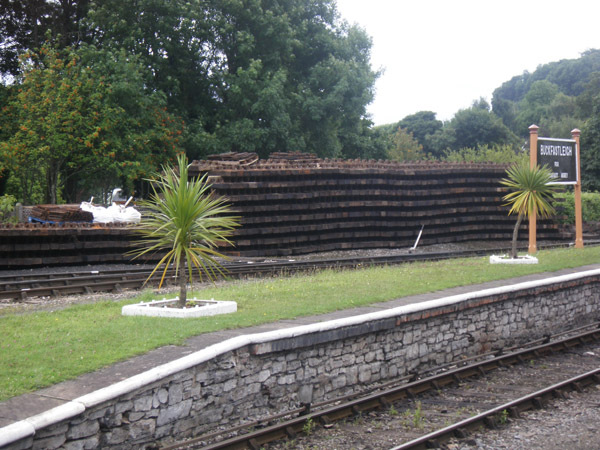 Also at Buckfastleigh is a wall of sleepers reminiscent of the great wall of Staverton 20 years ago! These have been purchased to enable the station area to be relaid. 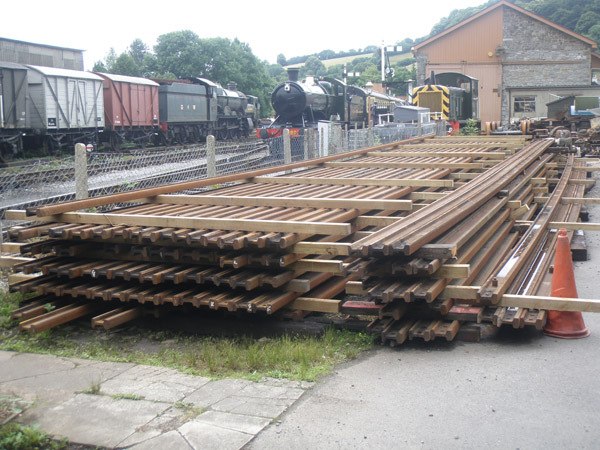 To every railway modellers' delight the pway department have also purchased a double slip for the yard at Buckfastleigh.